PHOENIX – Rosa Gonzales was crying as she waited in the long line, waiting to eat her last meal at a Chinese restaurant closing its doors after nearly a century in business. 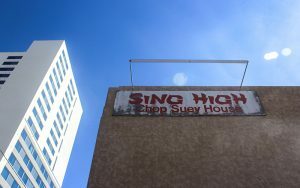 She was grieving Sing High Chop Suey House, the downtown Phoenix fixture where she and her husband stopped for a meal every week. Sing High, which served its last meal on Sept. 30, is among several longtime restaurants rooted in decades of history, relying on loyal customers and an appreciation for the past to survive. Others have recently closed doors. Other restaurants that have closed include Tom’s Tavern downtown (87 years), Riazzi’s Italian Garden in Tempe (72) and Park Central Deli in midtown Phoenix (60), according to azcentral.com. A few years ago, Monti’s La Casa Vieja, Tempe’s oldest restaurant, shut down after nearly 60 years. About 70 percent of restaurants that make it past year one will fail within the next three to five years, according to a 2016 analysis by Perry Group International. Michelle Dodds, a historic preservation officer for Phoenix, said owning and operating a restaurant for a long period of time is no easy task. Phoenix residents value the historic touch restaurants bring to the community, he said. “There’s a real appreciation, more so now than ever, for a property that offers something unique, something that has a history, something that’s just not some cookie-cutter thing you can see anywhere in the U.S.,” she said. 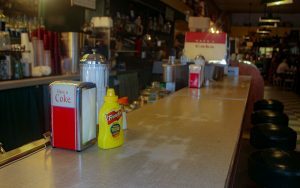 The inside of MacAlpine’s Diner & Soda Fountain in downtown Phoenix is decorated with memorabilia and invites its customers to experience a bygone era. Some restaurants, even if they’re in historic buildings, aren’t eligible for historic designation, she said, because they’ve had to alter some parts to accommodate the business. Dodd said her office focuses primarily on buildings of historical significance, but it also can review demolition requests for commercial properties that are 50 or older. They can consider the building for inclusion on the Phoenix Historic Property Register, which could protect it from future demolition. To make the register, a building must be 50 years or older and be significant due to its architecture, design, an important person visiting, or an event that took place there. It must also have good integrity, meaning it has not been altered significantly. Dodds said many Phoenix restaurants have honored history by opening shop in buildings of historic significance. 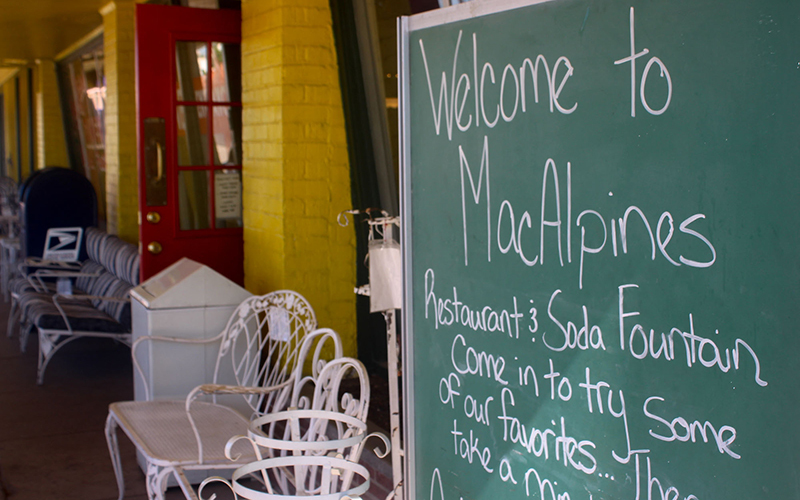 MacAlpines’s Diner & Soda Fountain is housed in a building that opened as a pharmacy in 1929. 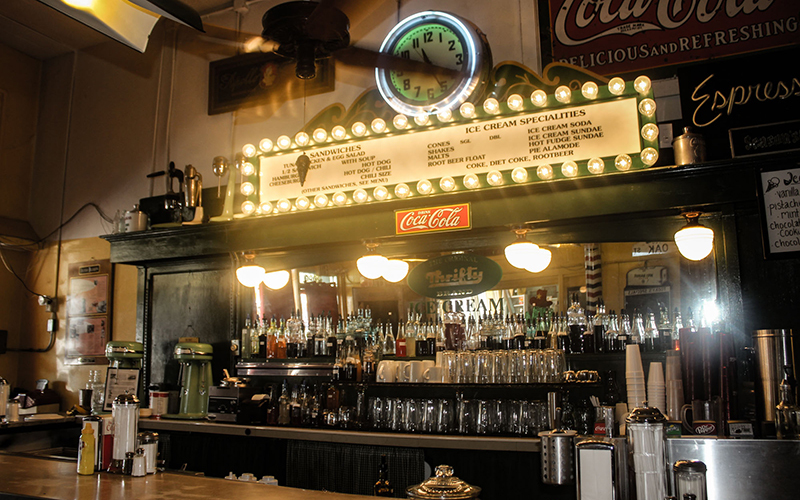 The diner, with a jukebox along a wall, is stocked with an array of soda flavors, old- fashioned milkshakes and homestyle cooking inspired by an earlier era. Monica Heizenrader, the owner, said she wanted to preserve the building’s history. Other restaurants, like homegrown Carolina’s Mexican Food, which has been churning out meals since 1968, and the Stockyards, erected in 1947 as a gathering place for cattlemen, offer customers a taste of history.